The city has received $4,082,015 in first-quarter tax payments and expects that number to rise. The 1.75 cent-per-fluid-ounce tax on the distribution of sugary beverages took effect Jan. 1. For the first three months of its tax on sugar-sweetened beverages, Seattle has collected more than $4 million. As of last Friday, the city’s Finance and Administrative Services department had received $4,082,015 in first-quarter tax payments, spokeswoman Julie Moore said. The department expects that number to rise because some checks were still in the mail, Moore said. Also, some businesses file their taxes annually, rather than quarterly. The 1.75-cent-per-fluid-ounce tax on the distribution of sugary beverages, syrups and concentrates took effect Jan. 1. Before the so-called soda tax began, officials estimated it would raise $14.8 million in 2018. They didn’t calculate quarterly estimates. The City Council adopted the tax last June, exempting diet sodas and drinks with milk as their primary ingredient, such as sugary, flavored lattes. 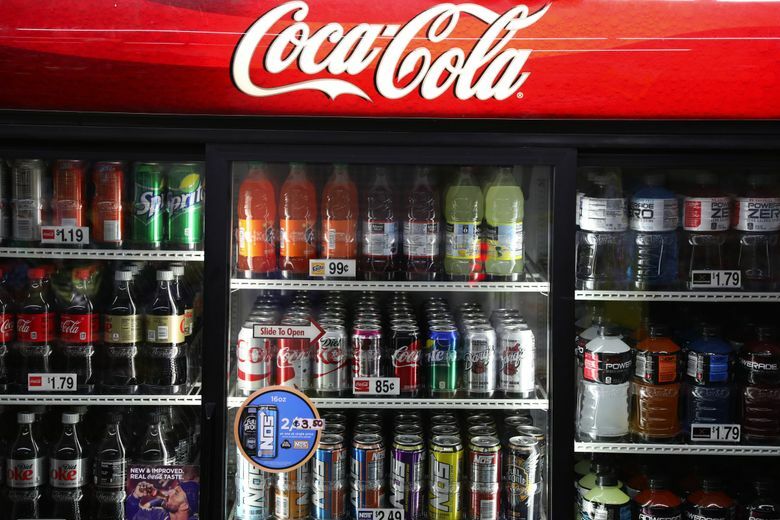 Proponents said the tax would boost prices and thereby discourage people from buying sugary drinks, which have been linked to type 2 diabetes, hypertension, heart disease and tooth decay. Many store owners and consumers opposed the measure, as did unionized beverage-industry workers and critics who said it would hit poor people hardest. Seattle’s tax is being paid by distributors who serve supermarkets, convenience stores and restaurants. The city hasn’t analyzed the first-quarter tax returns to determine which sectors may be most affected, Moore said. The distributors can choose to pass the tax on to the drink sellers, who can pass it on to customers. In January, Costco Wholesale posted signs at its Seattle store encouraging shoppers to buy their soda at the company’s suburban stores to avoid the tax. Of the $14.8 million in expected revenue, $3.8 million is going to be spent on healthy-food programs, $3.25 million on early-learning programs, $2.57 million on community-college scholarships and $1.35 million on administrative costs. Some of the money wasn’t immediately earmarked. The city is paying a team of University of Washington researchers $520,000 to study the effects of the tax. The team has collected baseline data on sugary-beverage consumption by children from families with low incomes — about 300 from Seattle and 300 from nearby cities. “We plan to follow up with those kids in the next month or so and then again at the 12-month point,” said epidemiology professor Jesse Jones-Smith, the team’s leader. The team also is checking to see how prices are changing at stores — more than 200 in Seattle and 200 in the nearby cities. “We’re collecting prices on all the beverages affected by the tax and those not affected,” Jones-Smith said. The team has conducted a survey of Seattle residents about their attitudes toward the tax but has yet to release the results, the professor said. Lastly, UW researchers plan to analyze the effects of the tax on small stores, she said. The beverage industry is seeking a ballot initiative aimed at stopping other Washington communities from adopting taxes on sugary beverages.